The best things to have when traveling on business. Tech Tools for the Business Traveler is an on-going article series, highlighting the latest products and solutions for the professional on the go. Preparing for meetings on the road can be cumbersome. With the latest consumer electronics from the trusted brands, InMotion has the solutions to ease the journey and meet the business travelers' needs. Perfect or the business traveler, the JBL Flip 4 is a great investment for work and play. The JBL Flip 4 boasts robust productivity, enhancing features like speakerphone mode with echo and noise canceling. Need a traveling assistant? 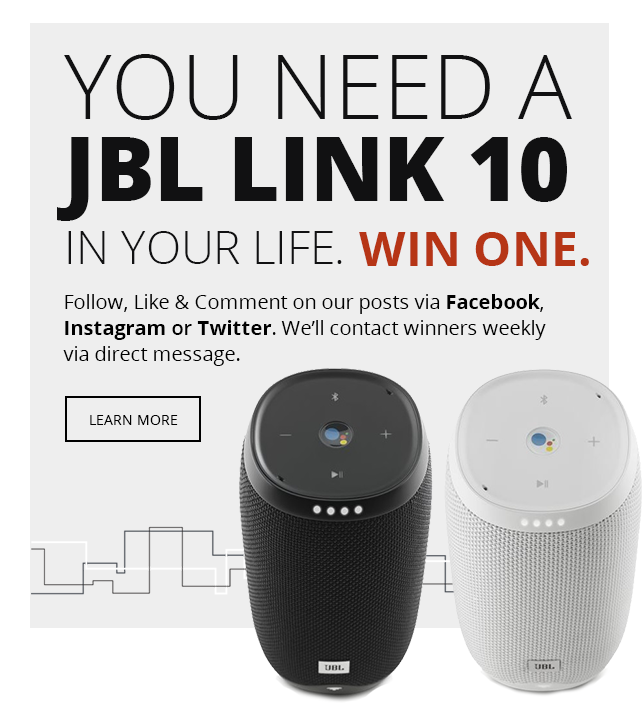 The JBL voice assistant integration allows access to Siri or Google Now right from the speaker at the press of the button. The Bluetooth speaker is also known for its stereo sound, 12 hours of battery life, test durability & water resistance. Did you forget your phone charger in the hotel? InMotion carries the most reliable iPhone, Macbook, Android and laptop chargers and portable power banks. From Apple’s Macbook MagSafe adapters and VGA adapters to the MyCharge Hub or Moshi battery pack, InMotion will make sure you are always prepared and powered to take on any task. So you already forgot your charger, we know traveling can be hectic. Tile will ensure you will not forget or lose anything else, like your keys, wallet, or briefcase. Tile is a tiny Bluetooth tracker and easy-to-use app that helps you find everyday items in seconds. We can help you stick, hook or attach Tiles to anything you care about. See the last place you had it on a map and make it ring when you get close. Just select to ring the lost items from your phone. If your Tile is within the 100-foot Bluetooth range, it will play a loud tune until you find it. What about your phone? Press the button on your Tile to make your phone ring — even on silent. InMotion caters to the business traveler, enhancing productivity and ease while on the road to success.